After creating a Draft Credit Note, you will need to approve it and then issue to your customer. Tick the box next to the Credit Note you want to issue, in order to select it. Select multiple Credit Notes if you want to issue them in bulk. Next, click the Preview button on top of the list of Credit Notes. You will be presented with a screen that shows a preview of your Credit Note(s), as well as some additional options. If you have selected more than one Credit Note to issues, you can preview it by clicking on it, in the right hand side panel of your Operate screen. Click Approve as soon as you are sure that everything is correct As soon as your As soon as the approval process is over, your Credit Note(s) will be available under under Invoicing > Credit Notes, among your other approved Credit Notes. If you have selected more than one Credit Note, you will have thee option to Approve All. Once approved, you can send your Credit Notes automatically, using the Automatic Invoice Production button, which once pressed, will send the Credit Note(s) to your customer by email, or will open the print dialog box, so that you can print them. 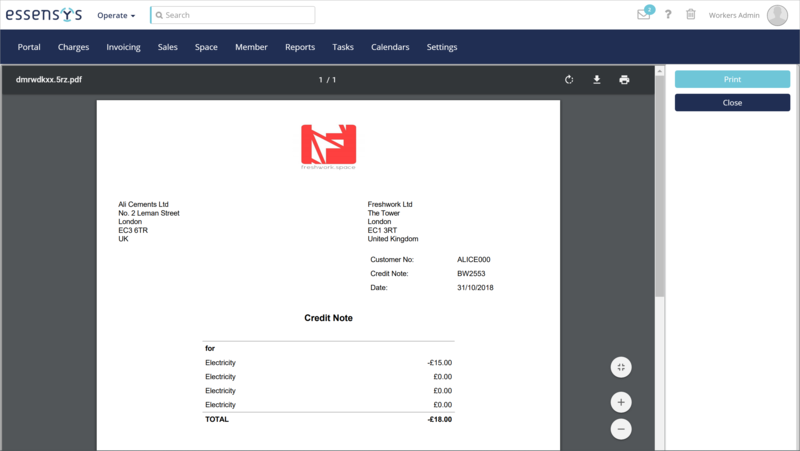 This is done according to the preference that you have set on the customer’s Account record - if they prefer to receive invoices by email, they will automatically be emailed to the addresses available on their account; if they prefer to receive a printed invoice, Operate will allow you to print. You can also email the Credit Note(s) to your customer or anyone else who needs to be informed. Simply make sure you have selected the appropriate Credit Note (in case you are previewing more than one), then click Email. 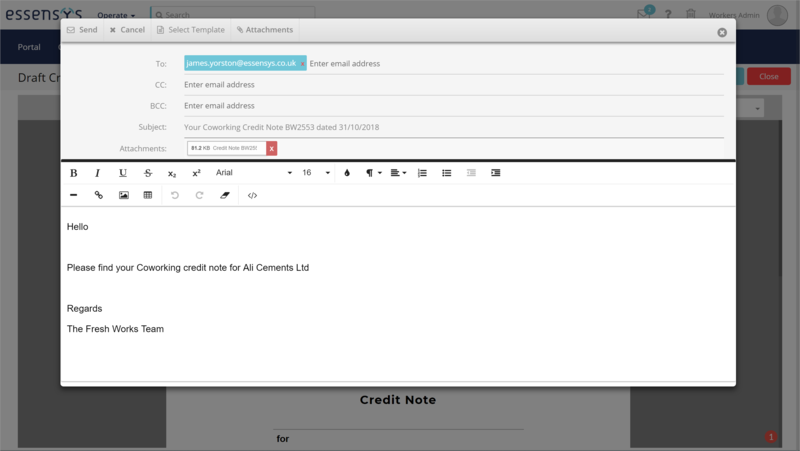 This will open the Email Editor, where your default Credit Note template will load, attaching the Credit Note as a .pdf. Your customer's invoice email addresses will be loaded outomatically, but you can make changes to the To, CC, or BCC fields as needed. 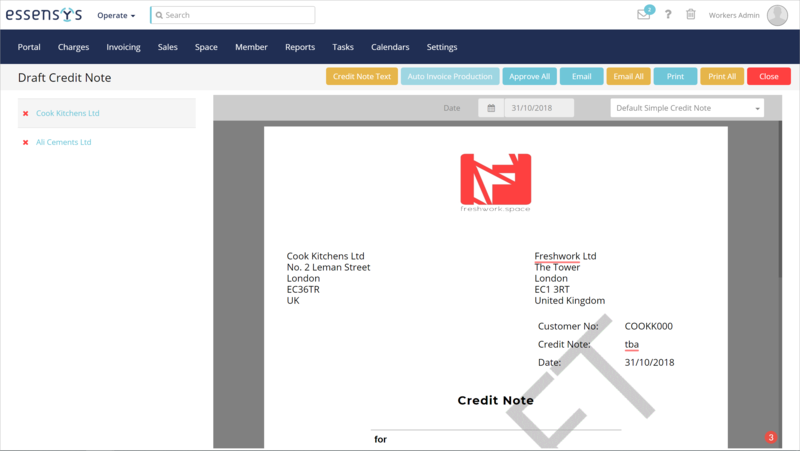 If you have selected more than one Credit Note, you can use Email All to send an email to all customers corresponding to the selected Credit Notes; or to a specific address This process is discussed in detail in Email All Operate Invoices or Credit Notes to a Specific Address or to the Customer. Print the invoice(s) if you need to print a copy of your Credit Note. You can use this to provide it to your customer, if they have opted for this invoicing method.